The Mayfly was also known as "His Majesty's Airship #1" or "HMA 1" and was the first British rigid airship. She was an answer to the German LZ 6 which had become the first Zeppelin used for commercial passenger transport. 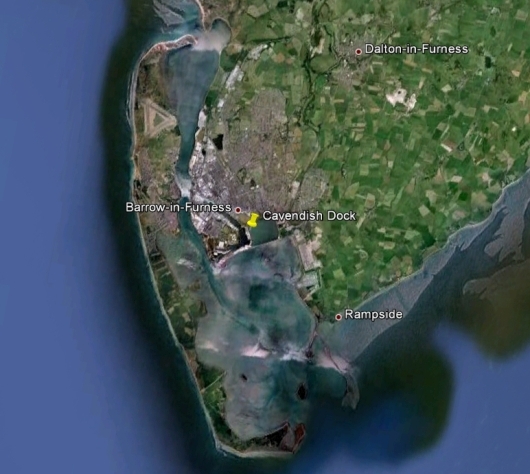 Construction began in June 1910 after a delay in constructing the shed, at the Cavendish Dock, in Barrow-in-Furness, Cumbria, England. 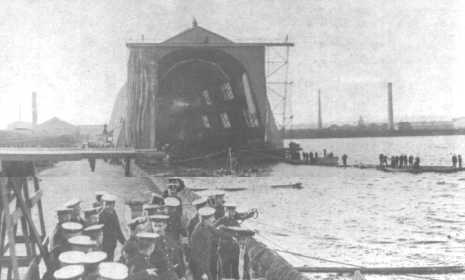 The construction shed also became the airship's hangar. The airship was actually built on a float, which could then be maneuvered out of the hangar as it carried the airship. 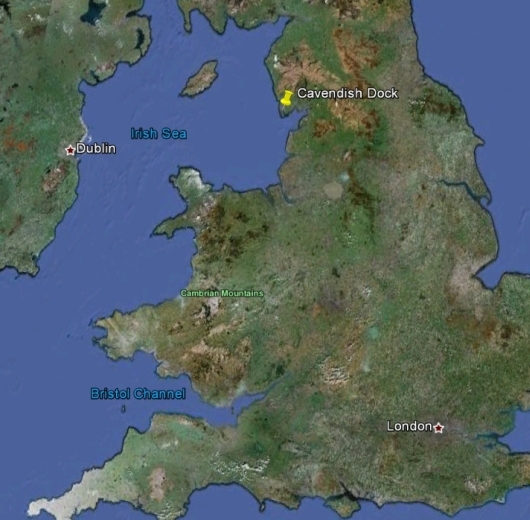 After release from the float, she would be moored on a mast - the first rigid airship to be moored by mast! 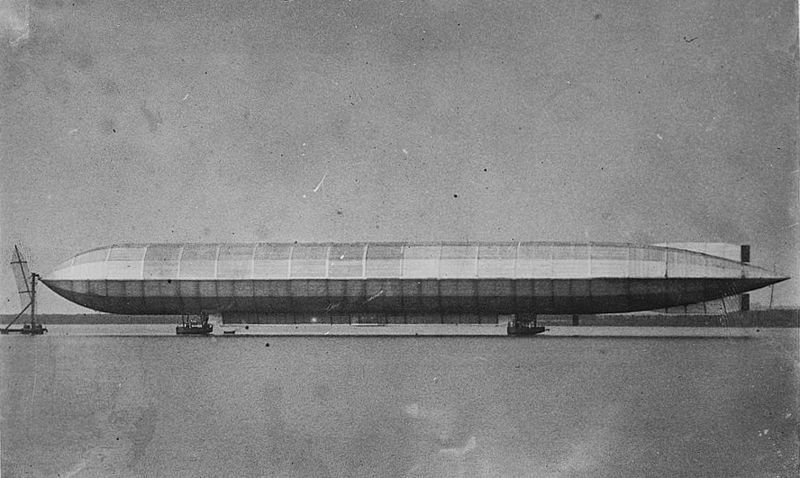 She was 512 feet long, and 46 feet in diameter. 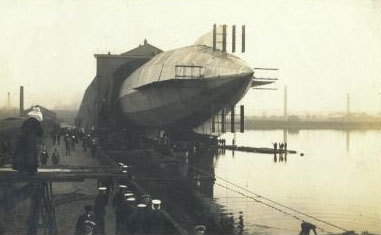 When completed in February 1911, the Mayfly was the largest airship ever built. After her static trials in February, 1911, a system of electric winches was used to remove her from the shed, and on September 24, 1911, she was moved from the hanger to begin flight testing. That was the extent of her operations. When the Mayfly was pulled from the hangar on September 24, 1911, just as her nose cleared the hangar, a sudden wind gust took her strongly and she rolled and broke in two. Now in two parts, though still held together by the fabric covering, she began to float and her crew abandoned ship. There were no fatalities, and the remains of the Mayfly were returned to the shed. Sadly, the Mayfly stayed in her hangar from the day of the accident till she and her hangar were dismantled on an unknown date. She never saw a flight. Since the Mayfly was built 100 years ago, she never saw a flight, and the hangar is long gone, it's difficult to find out anything about it. 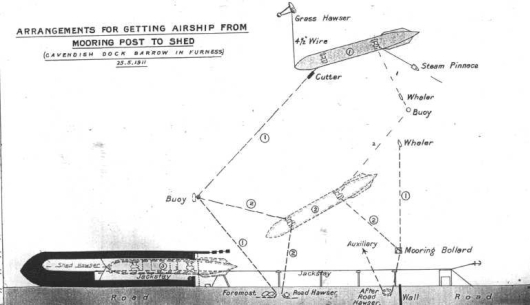 From Airshipsonline.com: "The shed was to be completed in August 1909 and the ship delivered two months later, but in June trouble occurred with driving piles in to the floor of the dock, and caused the shed completion to be delayed until June 1910." Notice something remarkable in this photo? The pilings where the Mayfly Hangar once stood are still present! 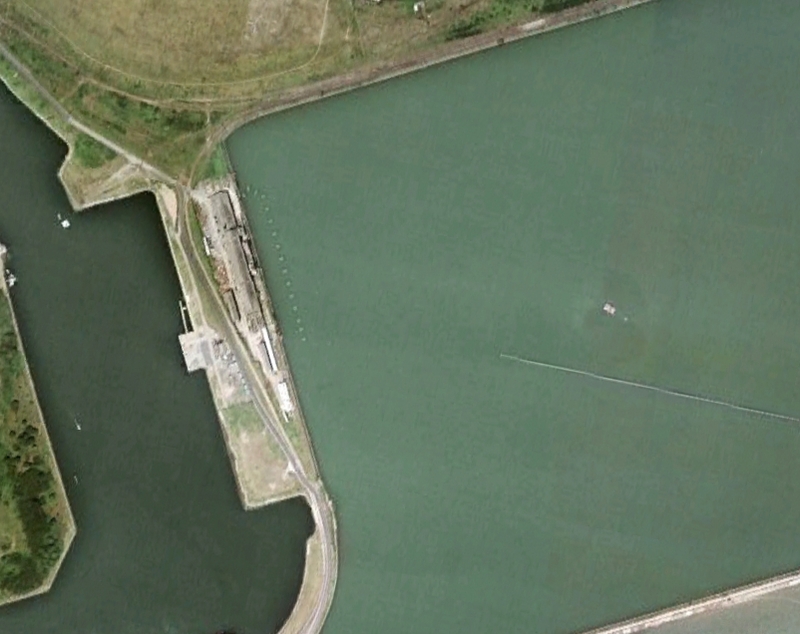 You can literally see the outline where the hangar once was - 100 years ago! It seems the piles which caused trouble and delayed the start of the construction of the Mayfly, were destined to outlast everything associated with the project!